TPMS stands for “Tire Pressure Monitoring System” and it turns on whenever your car tires are irregularly inflated. However, a lot of drivers complain that TPMS warning light keeps blinking even after they have filled your tires to the proper tire pressure. 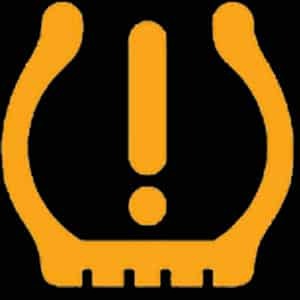 The TPMS light could either indicate that your TPMS is not properly recalibrated or that your tire pressure is too low. In this article, you will learn how to reset the TPMS light in several vehicles on the market. Before we move on to resetting the TPMS, it is important to understand the type of monitoring system your car has. There are 2 main types of TPMS: Direct and Indirect. The direct TPMS has sensors located on the tire’s pressure valve or on the rim. These sensors collect information and send it to the car’s on-board computer. However, the direct TPMS is most likely to malfunction due to bad weather condition. It is usually found in the cars in the United States. The indirect TPMS has sensors placed on the car’s ABS brakes and/or the speed sensors on each wheel. These sensors measure the speed of the wheel rotation and notice for changes as underinflated tires rotate much faster compared to a regularly filled tire. This system is found in cars in Europe. Resetting the TPMS differs from car to car but there are some general techniques which are easy to execute and help in successfully recalibrating the monitoring system. Most of the cars with direct TPMS have a reset button located under the steering wheel through which you can conveniently re-calibrate the sensors. Put the key in the ignition and turn on the battery but don’t start the car. Push the reset button for about 3 seconds or until the system’s light start blinking. Start the vehicle and drive for 20 to 25 minutes, then turn of the ignition. This might be the easiest method as it requires you to just drive your car at 50 mph for about 10 miles and the sensors will automatically calibrate themselves. Some vehicles require a higher speed and you can also use cruise control to keep the speed constant. Every car has an onboard computer which may face a certain glitch from time to time. The best way to fix these glitches is to reset the computer and this can be done by disconnecting and reconnecting the battery. Open your car’s hood and look for the battery’s positive terminal. Remove the positive terminal to disconnect the battery then press the vehicle’s horn to drain out any remaining power. Reconnect the positive terminal and the TPMS warning light should go away. There are a lot of different TPMS Reset tools on the market. In some cases, you will have to reprogram the sensors if they have lost their information and you need a TPMS Reset tool for this task. With a TPMS Reset tool, you can often reset the TPMS light with an easy click of a button of your car. If you are interested in buying a tool like this, I can recommend the Autel TS401 MaxiTPMS Activation Tool Link to Amazon. You also reset the TPMS light if you have a good OBD2 scanner. Always make sure the tools are compatible with your vehicle before you are making any purchase. If the above-mentioned techniques do not work it means that the sensors may have been damaged and will have to be replaced. The sensors can get damaged due to various reasons for example tire replacement, brake repairing, oil change, filter change or even during normal tire service. You can also try out these specific methods depending on your car make and model. If you own a 2016 or above Honda car with a touchscreen display, then follow these steps to easily re-calibrate the TPMS. For models without a touch display, use buttons on the steering wheel to select ‘TPMS Calibration’ and chose ‘Calibrate’ option. For models without any display screen, a TPMS reset button can be found on the left of steering wheel. Press the button or a couple of seconds then release to re-calibration the system. Resetting TPMS on Chevrolet models can be performed at home as well but it requires a J-46079 Tire Pressure Monitor Tester which can be bought from eBay. Put the key in the ignition and turn to “ON” position but don’t start the vehicle. Using driver instrument cluster, click the “Vehicle Information” button and navigate to “Relearn Tire Position”. Click “Set/Reset” and a message saying “Tire Learning Active” will pop up. If you own an old model without instrument cluster, press the odometer reset button until “Tire Learning Active” message is displayed. Connect the J-46079 Tire Pressure Monitor Tester to the left front tire and press the active button. Wait for 10 seconds until a horn chirp sound is heard. Repeat the process for remaining tires. Once all tires are done, turn the key to off position. Re-inflate the tires according to the recommended PSI. Resetting TPMS on Volkswagen differs from model to model. For old models, the reset button can be found inside the glove box or near the gear shift. Once the button is found, press it for a couple of seconds until a beep is heard then release. For newer models, the TPMS can be re-calibrated easily through the infotainment system. The TPMS on Mini models can be re-calibrated easily through the button as well. For old models (2002 to 2006), the reset button can be found in the front cabin on the emergency brake handle. Turn on the ignition but don’t start the car and press the reset button until the yellow indicator on the dashboard starts blinking. The TPS will be automatically calibrated on your next drive. On the newer models (2007 and onwards), start the car and navigate to “Set/Info” on the instrument cluster. Scroll down until the tire monitor symbol is displayed then click on reset and the TPMS system will re-calibrate. Toyota cars do normally have a reset button under the steering wheel. The reset button can be hard to find and you have to find at the lowest parts in front of your pedals. Just press the reset button for 5 seconds while the ignition is on and the TPMS should be reset. 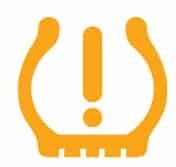 Once the TPMS system resets and the warning light goes away, there are a few maintenance tips you can follow to avoid the problem in future. If you replace the valve-system core, choose a stainless steel core instead of the brass core. Never leave the tire without cap screwed to the valve stem. Do not use aerosol flat fixer as it damages the sensor capability to measure changes. Take your car to an authorized dealership to have your vehicle and tires inspected. Can I Remove the TPMS Function instead? It is possible but firstly, remember that getting rid of TPMS is not the right solution as according to the law proposed by “The National Highway Traffic Safety Administration (NHTSA)”, all cars newer than 2008 are supposed to be equipped with a TPMS. This law was introduced to minimize the number of road accidents due to overinflated or underinflated tires. There are two different kinds of TPMS systems, direct and indirect. If your tire pressure is correct and you have tried to reset your TPMS, it may be a stored trouble code which can be found with an OBD2 scanner. If you can’t find your vehicle on this list or have any other questions about your TPMS system, comment down below and I will answer as fast as possible. If you have any other car questions you are welcome to ask them at our homepage. I have a 2016 honda cr-v S.E.. I picked up a nail in the left rear tire. the TPMS light came on. went to my tire dealer, he tried to patch the tire but was unable. bought a new tire to replace it. Got the same brand and size tire. Reset the TPMS light by the push button on the dash. the light stayed off for about 50 miles.and came back on. Checked all tire pressures satisfactory and reset again. The light stayed off for about 50 miles again. this time the presssures still checked satisfactory (recommended on door jam). I’ve done everything by the manual and the TPMS light keeps coming on. with correct tire pressures and after the reset procedure performed. This is very aggravating to the point that I wish I hadnot bought the car. Any help with this matter would be greatly appreciated. Do you have sensors inside of the tires or does the tire pressure is calculated by the ABS rings? What you could try, is to try applying slightly over the recommended tire pressure. I have seen vehicles that have been throwing an error code even when the pressure is at the recommended pressure. This gets solved by putting in a slightly higher pressure (2.6-2.7 instead of 2.5 bar for example). A lot of tire pressure gauges shows incorrect readings also. Try to add at least 37 lbs to all the tires and see if the light will reset. Sometimes when you are adding a tire pressure when the tire is hot, it will go down below the limit. If it’s not working, it may be a damaged TPMS sensor! I have a 2013 Honda Civic and have tried to physically locate the reset under the dash but haven’t found it. Any help would be appreciated.